Choose Nanotech manufactures industrial coating for a wide variety of surfaces. It was originally focused only on the industrial coating industry specializing in the development of protecting coatings for construction, industrial and household use. In 2010, Choose Nanotech created the Kubebond range that was specifically formulated for automotive substrates. The ceramic coating was made suitable for Paint, Glass, Alloy, Fabric, Leather, Plastic and Rubber. Find out more about the range of KubeBond products here and see which one is the most suitable for you. Spoke with the staff over the phone and he was very patient in explaining the benefits of the coating. Get my car done and it looks really good now. Thanks! Great service from 5D Solutions, after the coating we very carefully inspected the car to ensure everything was properly done. Have been using it for a week, really easy to clean. Brought my new car immediately to the workshop once I collected it. Even though it was new, the car looks so much shinier with the paint coating it. Love it. KubeBond has a range of protection solutions that not only help to keep the external portion of your car shiny and clean, we also have protection solutions that keep the internal of your car stain free and dirt free! If you are looking to protect your new car and keep it in tip top condition, we have the entire package. The Diamond 9H has a Revolution Bonding Technology that offers excellent scratch resistance and chemical resistant properties. This makes the paint protection coating extremely easy to clean and it stays cleaner for longer periods of time as well. 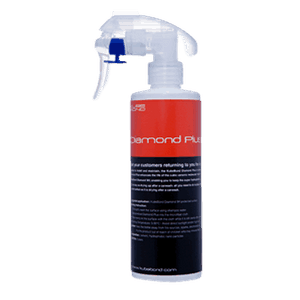 Because the compound forms a permanent bond with the paintwork, the protection coating is extremely durable and can only be removed by machine polish. 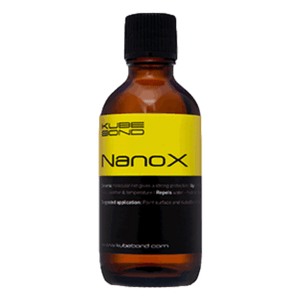 The KubeBond NanoX provides a ceramic molecular coating that enables a strong protection and creates a surface that stays clean for long periods of time. With just one application, the paintwork will transform into a shiny surface that is resistant to all weather conditions. 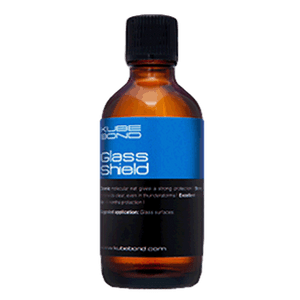 GlassShield is used specially for the protection of mirrors and glass on the car. The transparent solution provides a protective coating over the glass to make it resistant to dirt and dust. This is especially useful for driving in our tiny island of Singapore because when it rains, water will not remain on the glass or mirror and impede your vision. 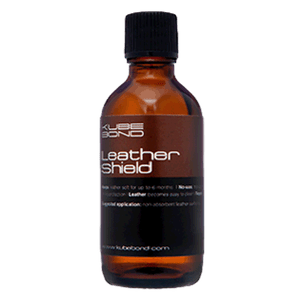 LeatherShield is a transparent solution which will not affect the original colour of your leather. Based on the same ceramic molecular compound as the Diamond 9H, the protective leather coating makes the leather resistant to dust and dirt. Because of the super hydrophobic effects, it also protects the leather from stains and makes it extremely easy to clean and stay clean longer as well. 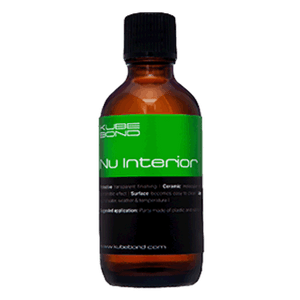 Nu Interior is a transparent solution that will not affect the original color of your plastic or rubber surface. The plastic protection coating is based on the same ceramic molecular formula and it has the ability to resist liquid stains and dust too! The hydrophobic effect can easily last up to 12 months and the coating also makes cleaning and maintenance a breeze! FabricShield helps to dramatically reduce the surface energy of fabrics, textiles and suede so that when any liquid comes into contact with the surface, it will bead together and slowly roll off. The fabric protection helps keeps the textiles free from dirt and stains and at the some time does not affect the look and feel. 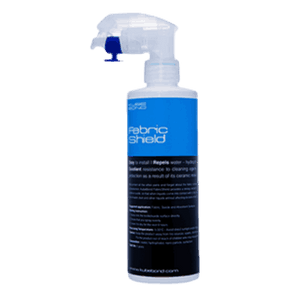 Unlike other coating products for textiles, the FabricShield is extremely easy to install as well. The KubeBond Diamond Plus was created to prolong the effects of the KubeBond Diamond 9H. The KubeBond Diamond Plus enhances the life of the cubic ceramic molecular matrix structure within KubeBond Diamond 9H, enabling you to keep the super-hydrophobic effect of the surface and avoid water spots for a longer period. It is simple to install and maintain. All you need to do is put some KubeBond Diamond Plus onto a microfiber cloth and wipe the coated surface as it is drying after a carwash. 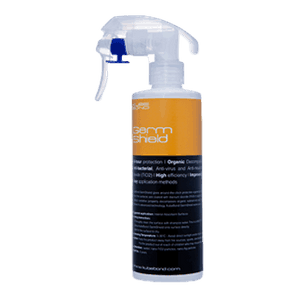 The KubeBond GermShield extends the protection to the inside of your cars. It gives around-the-clock protection against bacteria, viruses and mold! The KubeBond GermShield’s photocatalytic self-cleaning property means the surfaces are coated with titanium dioxide (TiO2) in pigment form. This means that when exposed to ultraviolet light sources like the sun, the coating’s oxidative property decomposes organic substances such as germs, microbes or bacteria on its surface. Modified and upgraded by CHOOSE NanoTech’s advanced technology, KubeBond GermShield works even without exposure to any light source. It can also be used on its own without any other coating products. Enjoy the amazing benefits of KubeBond right now! We have a 10 year warranty to support our permanent protection claim so you have nothing to lose! Come down to our showroom to find out more today!